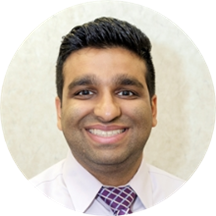 Dr. Ahmad is very personable, and extremely knowledgeable about issues with the foot and ankle. He listened and didn’t tryto force prescriptions down my throat before attempting to understand what was wrong. The medical assistants were also great! I highly recommend this doctor! Dr. Ahmad is very personable, and extremely knowledgeable about issues with the foot and ankle. He listened and didn’t try to force prescriptions down my throat before attemptingto understand what was wrong. The medical assistants were also great! I highly recommend this doctor! Dr. Ahmad provided a clearly stated assessment of my condition and its relevance to my general health. Assessed the problemin a simple, straight forward manner that allowed me to know what to expect, the care to take, and what ongoing service I am likely to require. He was very pleasant and open-mannered. I left happy! Thanks for the service! Dr. Ahmad provided a clearly stated assessment of my condition and its relevance to my general health. Assessed the problem in a simple, straight forward manner that allowed me to knowwhat to expect, the care to take, and what ongoing service I am likely to require. He was very pleasant and open-mannered. I left happy! Thanks for the service! Dr. Haseeb Ahmad is originally from the suburbs of Philadelphia, Pennsylvania. He graduated from Widener University with a Bachelor of Science degree in Biology and then attended Temple University School of Podiatric Medicine, earning his Doctor of Podiatric Medicine. Dr. Ahmad went on to complete a three year surgical residency at the Department of Veterans Affairs – New Jersey Healthcare System in East Orange, New Jersey, serving as chief resident in his final year. Dr. Ahmad has been trained in all aspects of Podiatric Medicine and Surgery. He has a special interest in sports medicine, orthopedics, and trauma, though he is skilled to treat all foot and ankle conditions. When not working in the office, Dr. Ahmad enjoys playing and watching sports. He also enjoys playing with his dog, spending time with family and friends, cooking, and traveling. I have good luck with podiatrists in the past and my luck has continued with Dr. Ahmad! He's very personable and communicative in a way that is highly professional yet very compassionate and empathetic. I am very impressed and am soglad I chose the doctor as my podiatrist. He is going to be of tremendous help to me!